Cliffe, S. 2014. Promoting governance and inclusive development. GREAT insights Magazine, Volume 4, Issue 1. December 2014/January 2015. Does peace-building fail without good governance and all-inclusive development? Yes – and no. It depends on your timeframe and whether you expect constant progress, or more of a pattern of “two steps forward, one step back”. Let’s take two cases (or one emblematic case and several contrasting countries). South Sudan went back to fighting last year – a national tragedy and an international concern after all the hope and attention to the first new African state of the 21st century. Deteriorating governance and exclusion almost certainly played a fundamental role in this. Lack of ability to build a state that was seen to represent all ethnic groups, an administration packed with ex-fighters who – despite their individual commitment in many cases – had difficulty in adjusting to peacetime government, and increasing corruption, all contributed to the renewal of conflict. Work done for the World Bank’s World Development Report (1) on conflict, security and development found across countries that strengthening governance (improving bureaucratic quality, but also combating corruption and human rights abuses) diminishes risks of future conflict by 30-45%. It also found that successful post-conflict transitions – whether military victories or negotiated settlements – had emphasised inclusion of different groups. Look at the path taken in some of the countries where political transitions have been managed peacefully and a renewal of conflict avoided – Argentina and Chile post military rule, Ethiopia, Indonesia in its post-Soeharto transition, Mozambique, Nepal, Rwanda, South Africa post-Apartheid, South Korea, Timor-Leste post-independence. While some have much higher income levels and more developed institutions than others (and risks remain for those where governance and inclusion is still weak), all of these countries have consolidated peace and improved the welfare of their population since the end of conflict or authoritarian rule. Some gains are quite dramatic, in particular those coming from a very low base; Ethiopia and Nepal halved income poverty in 15 years; Rwanda reduced infant mortality by two thirds and Mozambique more than tripled primary enrolment; South Korea expanded GDP per capita more than tenfold in 30 years. Yet the striking point about the actual experience of peacebuilding in these countries is that improvements in governance and inclusion were not linear or short. No country has gone from Somalia’s to Denmark’s level of governance and inclusion in a straight line or overnight. Rather they had messy transitions which managed the support of key groups – sometimes elites, sometimes political oppositions and ex-rebels, sometimes regional or ethnic groups, sometimes the emerging middle class – in ways that balanced political tensions with “inclusive enough” approaches. Not everyone benefitted at the same level and the same time, but enough groups benefitted over time to keep the transition on track and ensure increasingly more inclusive development outcomes. These countries have all faced some setbacks and their governance indicators on different aspects have gone up and down. In the case of Timor Leste, the country had to request renewed international peace-keeping assistance in 2006 (in fact crises after independence for new states are not infrequent historically – the international community should perhaps be more prepared for that, and keep it in mind in situations like South Sudan). Mozambique, long seen as successful in peacebuilding, has faced serious challenges to the resilience of its post-war settlement in preparation for it upcoming elections. Setbacks, in other words, are normal. The pace of change is also slower than we generally expect in the international community. Let’s look at some more real world illustrations of how reforms related to inclusion and good governance – here I will use elections and gender – have worked in South Africa post-Apartheid and Afghanistan. South Africa is a country which still faces serious challenges, but where no one doubts that the post-Apartheid transition did an incredible job in averting high risks of escalating conflict, forming a strong national identity and a constitutional base for inclusive development and accountable institutions. Yet the parameters of that transition were far from some of the pressures we see on fragile situations today. First, the electoral timetable was slow: between 1991 and 1994, a series of participatory bodies brought together the Apartheid government, the African National Congress (ANC)-led tripartite coalition and civil society to build a shared understanding on the constitution and rules of the game, the key development challenges and the threats to a peaceful transition. 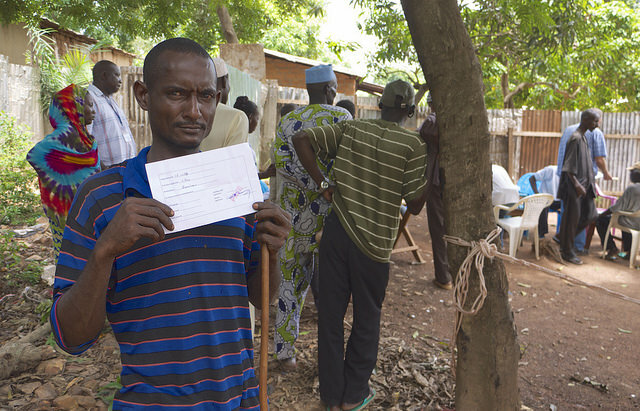 Elections happened only after three years of this process – a much longer timetable than we have seen in recent times in international expectations on elections in Africa or the Middle East. Second, South Africa had a long process of debating internally how its society saw inclusion, including gender rights. In the early 90’s the National Women’s Coalition was established, across party lines and including the trade unions and civil society, resulting in the development of a Women’s Charter. The Women’s Charter informed the Constitution and the Bill of Rights. The results were not pre-determined: there were strong currents of conservative tradition arguing against gender inclusion, and controversy over women’s rights to control their reproductive health amongst other issues. International interventions played very little role. Yet – and perhaps not disconnected to the reliance on internal advocacy rather than external pressure – the ultimate outcome was one of the most equitable constitutions in the world in its dispensations against discrimination on the basis of gender or sexual orientation. Another example, this time relating more to the interaction of internal and external dynamics: Afghanistan. The power-sharing agreement following the recent election is too early to judge, and it is hoped to succeed. But at the very least the process has shown the fragility of over-reliance on electoral processes as the unique mechanism for political inclusion, in the absence of a range of institutions to guarantee their credibility and acceptance. 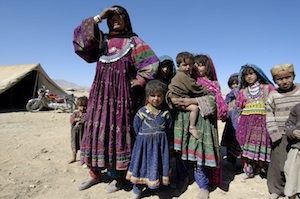 We can also learn from the longer-term efforts to increase inclusion in Afghanistan, such as on gender. The National Solidarity Programme, one of the most successful internationally-supported programmes in Afghanistan, has included provisions on representation of women in decision-making since its inception. The results are actually surprisingly positive: in a rigorous 2010 study, poor village communities saw women as significantly better respected after they received the programme. Yet the gain was also fairly small – an increase from 30% to 40% of male community members who changed their views over three years. In other words, it is possible to move social norms on inclusion with internal leadership and sensitive external support, but it is not quick. Such slow shifts often cause impatience in the international community – why can things not change more quickly? In part we ask this question because we forget our own history. There is no question that the OECD countries have made great gains in governance and inclusion of the poorest but the progress was perhaps not as fast as we think. Below are two graphs showing poverty reduction in the US and the UK, Japan and Mexico at the level of US$1.25 a day (the classic measure of extreme poverty used in development). The UK and US really took well over a century to address the welfare of their extreme poor while Japan and Mexico were much quicker but still took several decades and problems, of course, still remain. While most OECD countries made remarkable gains in inclusion between social classes in the 20th century, inequality has subsequently risen. Relations between ethnic or regional identity groups remain challenging in many areas, as anti-immigrant sentiment, or the surprisingly strong support for independence in Scotland and elsewhere, have shown. Source: Brookings 2014 drawn from World Bank Povcalnet; Bourguinon and Morrisson (2002). beyond-aid mechanisms which diminish external pressures on fragile states – cooperation on trafficking, tax evasion, money laundering – which could be strongly pushed forward in the post-2015 agenda. Do we consistently apply these approaches at present? – no, clearly not. These measures often involve addressing difficult issues at home for aid agencies, including human rights and corruption risk management, tensions between short-term and long-term counter-terrorism agendas, and inter-agency cooperation. But now, as we think about the post-2015 agenda and the urgency of addressing the conflict-affected situations where poverty is increasingly concentrated, it is crucial that we apply what we know and continue to learn. Let me end with some reflections on one of the greatest current challenges to the idea that it is possible to promote good governance and inclusion as part of peacebuilding processes: the depressing news coming daily from the Middle East. The gravity of this challenge is indisputable. So how to maintain a sense of hope? First, we have to remember how quickly the political environment can change. It seems crazy to even think about good governance and inclusion amidst the brutality occurring in Syria or Iraq today. Yet the region has gone from great hope to (in large part) despair in three short years since the Arab Spring of 2011 – it will have other opportunities for turnaround in the next 15. Second, competing views of inclusion and governance underpin much of the turmoil now underway. Change within the region, in what is considered acceptable in relation to governance and inclusion, will be fundamental to moving away from crisis. This is not impossible – look at the sea change made in regional norms and approaches in Latin America and Africa over 20 years. Governance and inclusion face periodic setbacks at global level and regional level, just as they do nationally. But these issues are not going away – their absence is central to why we face underdevelopment, conflict and violent extremism today, and new approaches to promote them will be equally central to overcoming these challenges. Sarah Cliffe is Special Adviser at The World Bank, former Assistant Secretary General at the United Nations and Director of the World Development Report on Conflict, Security and Development. 1. The World Bank. 2011. World Development Report 2011: Conflict, Security, and Development. The World Bank: Washington DC. 2. Pritchett, L. and Weijer , F. de. 2010. Fragile States: Stuck in a Capability Trap? World Development Report 2011. Background Paper. The World Bank.